#NAOHOAnetwork <– Use this Tag to stay up to date! Here be me: Naomi Hoang (‘nay-oh-mee hwang’). Feel free to call me ‘Nay’. If you’re reading this, then you’ve probably stumbled upon a selfie Tweet to plug the fact that I’m at a certain event. I go to a lot of these events and many people say they want a tattoo but only a few take the plunge and book in, so to give you a little nudge, the first 5 people to approach me and book an appointment will get £10 off. This will be non-refundable, as it is to cover my time during the consultation and for when I design your tattoo. I spend a lot of time creating bespoke designs, which £30 doesn’t cover at all, but I do this so that there is a low, non-intimidating entry level towards getting your tattoo. Please respect this and only book if you genuinely intend to get inked. 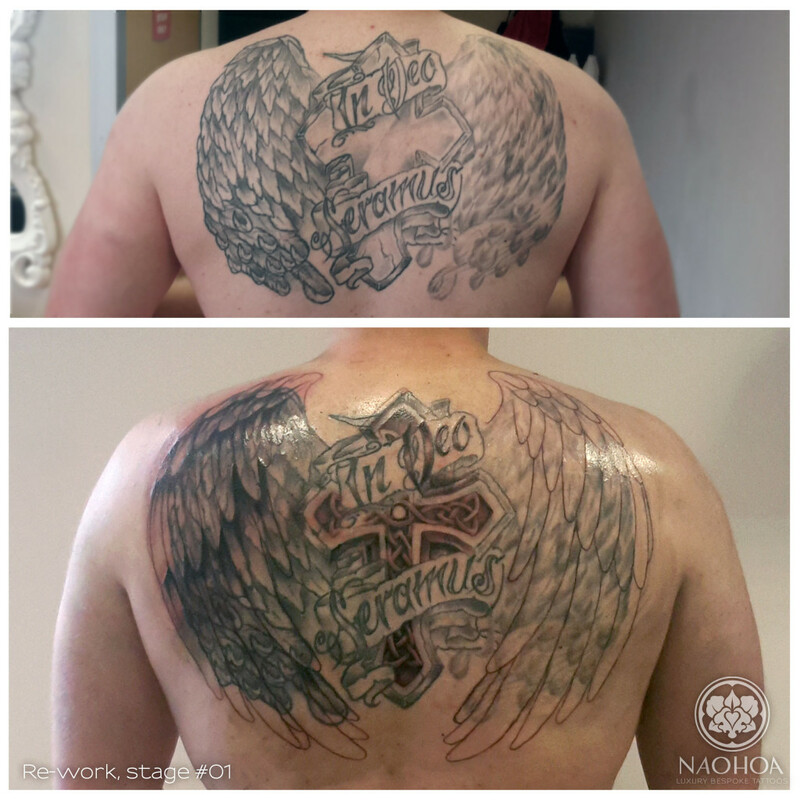 If you’re unsure, why not try the Temporary Tattoo Package? …..so what are you waiting for? Time to put your money where your mouth is~ 😛 It doesn’t have to be within a few weeks either – it can be booked months ahead so you have time to think and save up. Psst…’Like’ my Facebook Page for regular updates. I’ll be starting a biiiig re-work/coverup jobbins soon and thought I’d share my process. If you’re interested, please refer back to this post as I’ll be updating it as I go along, as well as posting photos on Facebook. A rough idea of what I intend to do with this unfinished tattoo the client has had for the past 3 years (the original artist moved abroad). 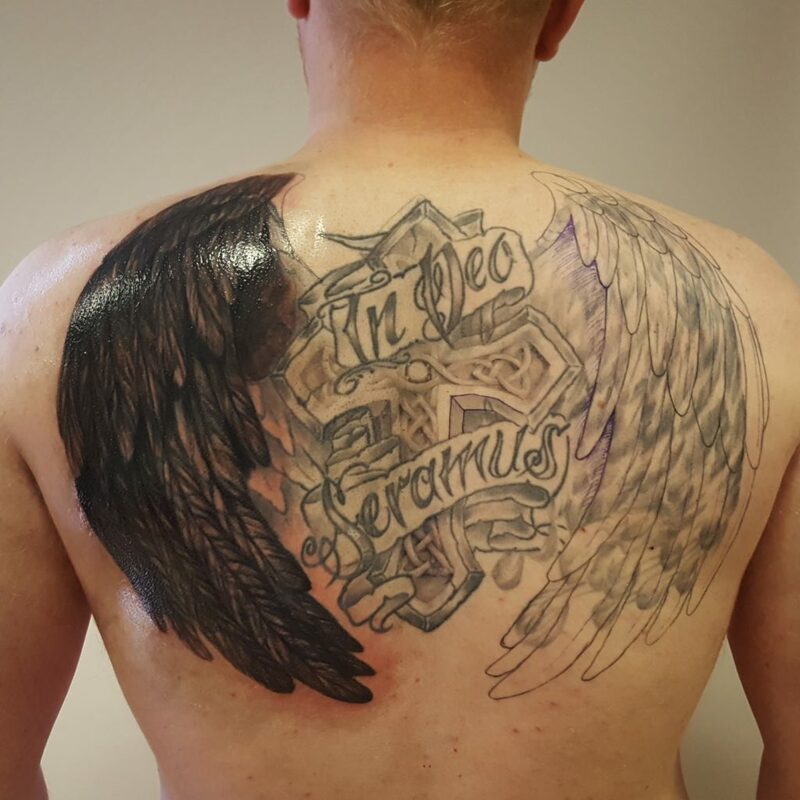 ….the wings won’t be completely symmetrical – it was just easy to flip it in order to quickly show the client and give him an idea of what I’ll be doing. We split this into two 3hr sessions. First, I focused on fixing the alignment of the cross and shaded as much as I could. In the second session, I completed the outlines of the wings and started shading the undersides of the more heavily-rendered wing, so it’ll be easier for me to follow next time round. Want to stay up-to-date on news, events and offers? 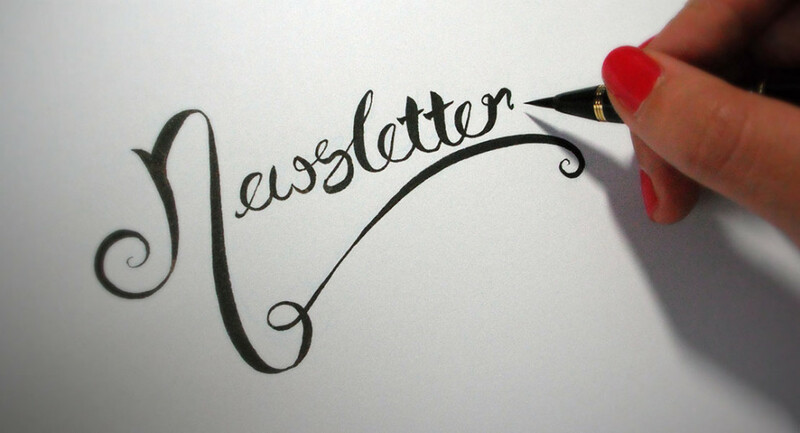 SUBSCRIBE to the Newsletter and have information sent straight to your inbox*! * Some email providers may filter these emails to another inbox. Please add info [at] naohoa.com to your ‘safe’ list.